The five Chinese nationals were arrested from outside Kolkata station, a terminal railway station in the city, after the GRP seized 197 kg amphetamine tablets. 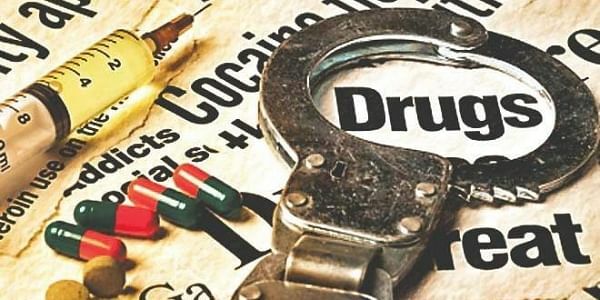 KOLKATA: The five Chinese men arrested with contraband drugs worth Rs 40 crore yesterday were frequent visitors to India and efforts are on to find out the scheduled destination of the seized drugs, a CID official said. The five Chinese nationals were arrested from outside Kolkata station, a terminal railway station in the city, after the GRP seized 197 kg amphetamine tablets, stated to be an expensive party drug, from them. The drugs were found in silver plastic packets inside their bags and they offered huge bribe to the GRP personnel to release them, the senior officer added. "They have been frequent visitors to India. They had travelled to New Delhi, Mumbai and various other cities since 2016. We need to find out the purposes of those visits, whom they had met, for whom they have been working and who are the takers of these drugs," the IPS officer said. "This time they entered the country on June 23," he told PTI. Sleuths of state CID, which has been handed over the case, said they were also trying to find out whether these five had links to any big international drug racket. Five mobile phones, several SIM cards both Indian and Chinese, and 60 debit cards were also seized from their possession, the officer said. The sleuths were facing problem in communicating with the Chinese nationals who spoke broken English, he said adding that the CID was trying to use an interpreter.